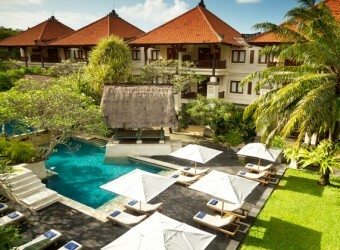 Hotel Pri Santrian is in the south east town in Bali, along Sanur coast. It is owned by Balinese family and offer heart warming service. There are big 3 pools in the hotel site with poolside bar. Guests can enjoy tropical holiday in there.